One of the favorite periodic tables is the Periodic Table with Circle Tiles. This set of periodic table wallpapers revisits the periodic table circle tiles and kicks it up a notch. Each circular tile looks like a shiny glass covered button. 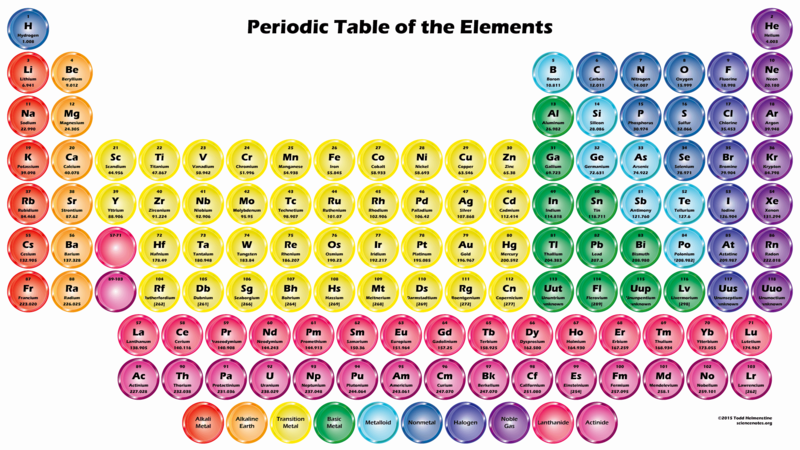 The colors represent the different element groups and each tile contains the element’s atomic number, symbol, name and atomic mass. This table has a white background and is 1920×1080. Click the image to view the full-sized wallpaper. This table does not print well on a 8½x11 sheet of paper. The text is readable, but there are plenty of better printable tables to use. This periodic table circle buttons wallpaper has a black background to provide a sharp contrast for the circles. This wallpaper is similar to the black background. Instead of plain black, the background is replaced with a starfield. Shiny element buttons in SPACE!! Download and enjoy. 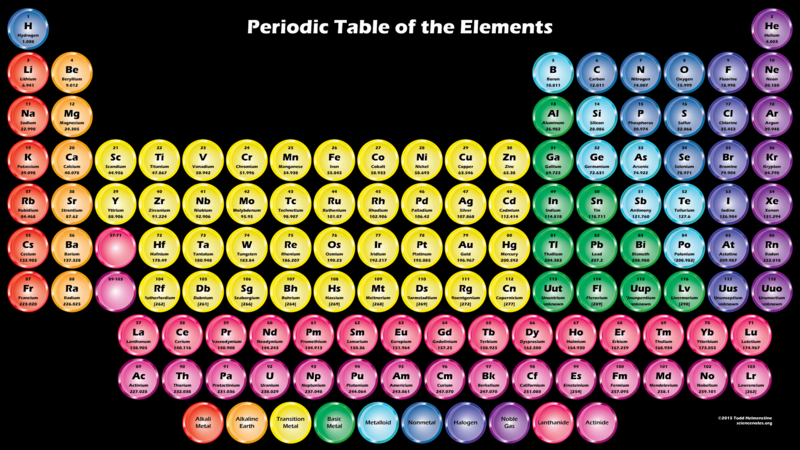 If you like these wallpapers, check out our ever growing collection of periodic table wallpapers. These are SUPER! I think someone should print them out, cut them out, and make buttons out of them! Thanks!